The game is based on smgbalib, and is the first game/tech demo to use everything in the library. I came up with the idea while feeling sluggish after eating binges during the holiday season. The purpose is to keep a balanced diet. You cannot become too unhealthy, but at the same time you wish to feel like you're living your life too, so too bland is also not good. 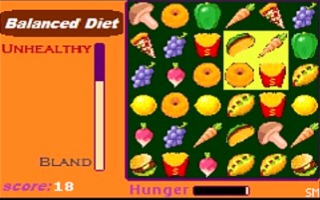 You have quite a healthy appetite, so you eat four foods at once (by pressing A) after you've moved the cursor to the desired group of foods. 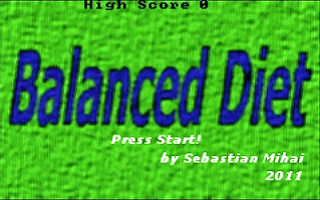 Balanced Diet source code - grab this if you wish to modify the game. It requires a devkitadv development kit. 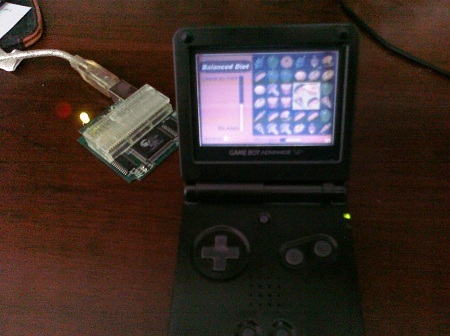 Visualboy Advance - A great emulator to use to play Gameboy Advance games, or to test your own code! devkitadv - a solid GBA devkit. You will need this to develop for the GBA. All makefiles I provide assume that the directory devkitadv is unzipped in C:\ . Of course, you can change this, but you'll have to change some paths and/or makefiles. Here is the game running on actual hardware, via a flash cartridge! 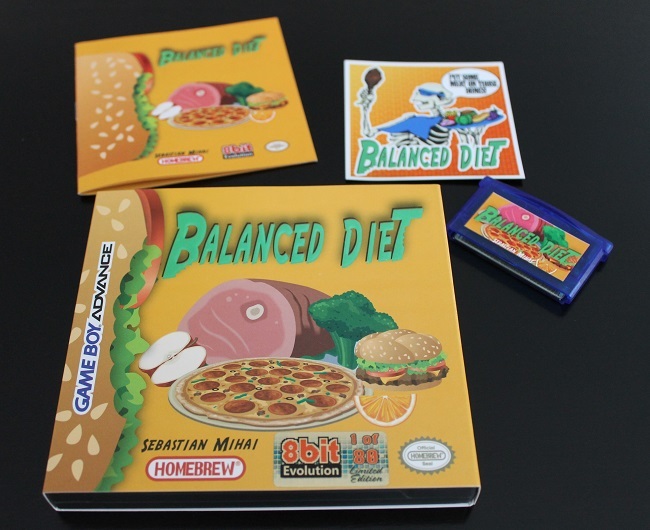 Balanced Diet has now been produced as part of a limited-run series of 80 copies.